The Abu Musab al Zarqawi Cubs of the Caliphate Camp is the 52nd counter narrative video in the ICSVE Breaking the ISIS Brand series. This video features 15-year-old Syrian Ibn Omar, who was interviewed in November 2015, in southern Turkey, by Anne Speckhard and Ahmet Yayla. The video clip was video edited and produced by Zack Baddorf and our ICSVE team. In this video clip, Ibn Omar tells about how ISIS trained the many children who were in their Abu Musab al Zarqawi Cubs of the Caliphate Camp. Ibn Omar recalls how the ISIS shariah teachers claimed to the children that the Quran promises them that suicide missions would take them to Paradise. Unable to read, Ibn Omar had no basis on which to judge these statements. He was horrified, however, as he realized that ISIS was tricking young children into suicide missions, not even telling them that they were driving away in bomb-laden cars about to be exploded. Omar explains, “They took a lot of my comrades and made them blow themselves up without knowing. [The ISIS cadres] install the [suicide detonator] and [the children] go blow themselves up without even knowing what they’re doing. They bring in children and hand out pills for them to swallow. 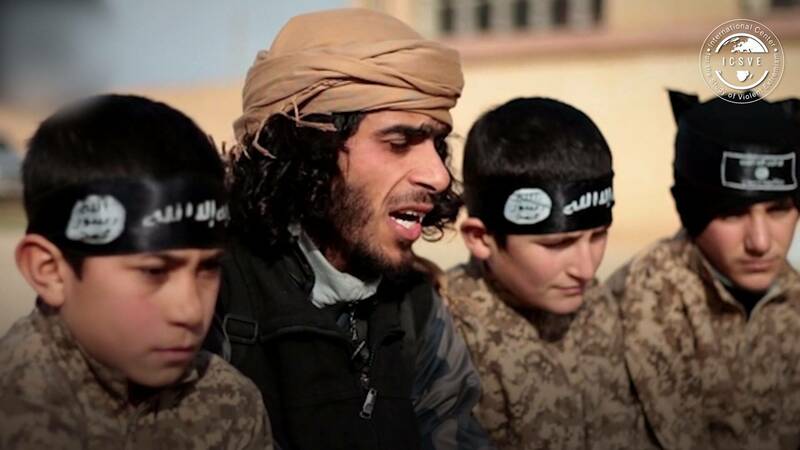 If these young kids knew that they’re going to blow themselves up, they wouldn’t go,” Ibn Omar explains. Ibn Omar was on the suicide bomber roster as well, only two to three days away from being sent on a suicide mission, when he was given a home-leave pass to visit his parents. Horrified to learn that he had “volunteered” for a suicide mission, his parents forced him to flee to relatives in southern Turkey. There, Ibn Omar explains, it took him over a year to recover from ISIS indoctrination. The only ones who benefit from the children’s exploitation to ISIS are their soldiers and leaders, Ibn Omar explains, calling ISIS infidels and advising others not to join. At the time of his interview, Ibn Omar was working as a laborer picking cotton. He wore broken rubber flip flops during the interview with the ICSVE researchers. Feeling sympathy for the young Ibn Omar, ICSVE researchers bought him boots for the winter. Tragically, despite Ibn Omar’s escape from the group and subsequent horror over nearly serving them as a suicide bomber, we later learned that he was so homesick for his home in Kobani, that ISIS cadres working in southern Turkey were able to convince him to guide them back along side roads to his hometown in Syria, an area that had been overtaken by Kurds. Once again manipulated by ISIS cadres, Ibn Omar was killed when he stepped over a landmine, as he was trying to travel to his home in Syria. Do you believe Ibn Omar is who he says he is? Why are children increasingly being indoctrinated and trained in the use of violence by violent extremist groups like ISIS and Boko Haram? Do you believe that sending children into suicide missions (including families together, as was the recent case of a family of six that launched suicide attacks in Indonesia) serves to also increase media attention to a terrorist group? Do you think it is fair to lie to a child and put him unknowingly into a suicide car? At what age do you believe a child can be used as a soldier? Do you believe that suicide attacks take the attacker to Paradise? 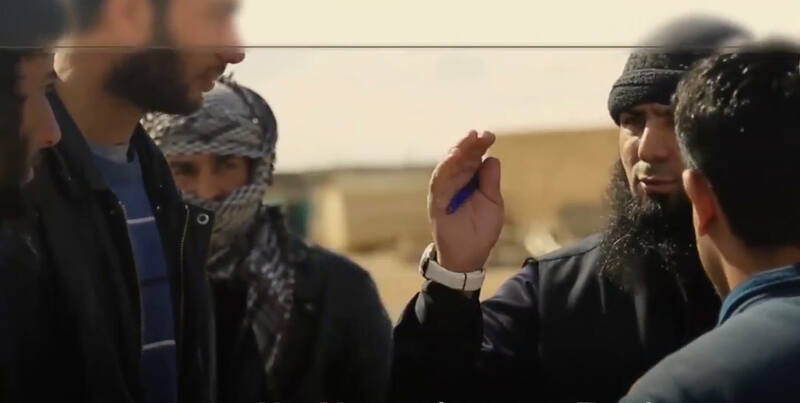 What do you think of ISIS cadres manipulating Ibn Omar to guide them to his home in Kobani? What can be done to help children and minors who have experienced years of indoctrination into jihadi militancy (including suicide missions)? In Islam, children do not have any responsibility to join in warfare and for a terrorist group like ISIS to cynically manipulate them into dying for the group is extremely unIslamic. In Islam, the protection of children are one of the reasons that adults would join in fighting, for adults are ordered to fight to protect women, children and belongings, as Allah says in the Quran: “Why should we not fight in Allah’s way when we have been driven from our dwellings with our children?”Surah al-Baqarah (the cow), Ayah no. 246. So it is obvious who is fighting and who is not fighting in this Ayah. Furthermore, committing suicide bombing is against Islamic law, for suicide is condemned in the Quran. Yet we see ISIS manipulating children into believing that they are carrying out an act of Islamic martyrdom by killing themselves while killing others and lying to them that they will not feel pain and will go straight to Paradise. Obviously, the children are afraid as ISIS is also giving them pills to carry out these acts. This use of children in this manner is certainly a very grave and disgusting sin in the eyes of Allah. Killing yourself cannot be justified under any circumstance for Allah says in the Quran: “And do not kill yourselves. Allah is the Most Merciful to you. But whosoever does that in transgression and wrongfully We shall roast him in the Fire. That is an easy matter for Allah.” Surah al-Nisa’ (women), Ayah no. 29-30. 0:01 Training goes from 7 a.m. to sunset. 0:05 We only stayed in the camp for a month. 0:08 [It was the] Abu Musab al Zarqawi Camp for the Cubs of the Caliphate. 0:12 I started watching them training young kids how to blow themselves up. 0:16 To get ready, they only have to get in and go. 0:19 They say that you keep going in the car to a certain place. 0:25 You pull the hand brake and stop. 0:29 Once you pull the hand brake, the car explodes. 0:34 [Syrian] government forces, mostly [Free Syrian Army] troops and the Kurds. [One boy in our group] blew himself up amongst infidels and [we were told] he goes to Paradise. 0:43 The shariah teacher [taught us this]. 0:50 and sometimes he just talks with us. He just talks. 0:55 I can’t read [the Quran], because I can’t read. 0:59 So I thought they’ll start training me [for suicide bombing] in two or three more days. 1:02 So it was better to quit then to let them train me. 1:05 I wasn’t convinced that those who blow themselves up go to Paradise. 1:09 I asked to take leave. 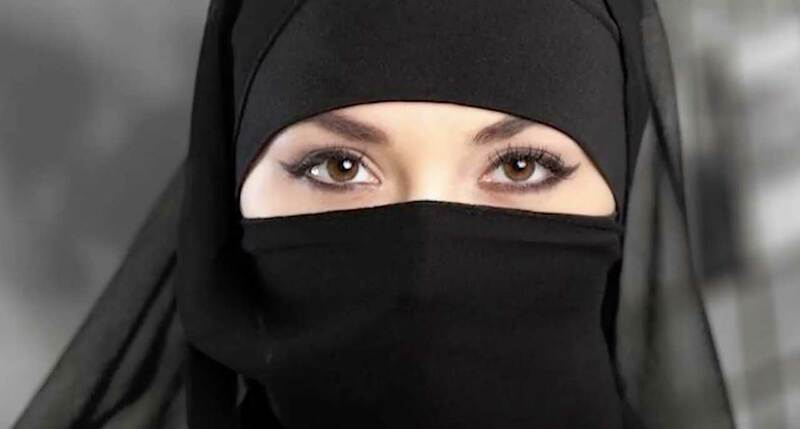 [ISIS] gave me one and that’s how I was able to escape from them. 1:15 [ISIS says that anyone who leaves] is an infidel. 1:18 Ibn Omar had “volunteered” for a suicide mission and was next in line to go when he was given home-leave to visit his parents who he told about his upcoming mission. 1:24 Shocked, his parents forced him to defect from ISIS and flee to Turkey. 1:28 It took Ibn Omar over a year to recover from ISIS indoctrination. 1:33 From our camp, about 15 youngsters and adults went on [suicide] bombing missions. 1:38 If these young kids knew that they’re going to blow themselves up, they wouldn’t go. 1:42 They took a lot of my comrades and made them blow themselves up without knowing. 1:48 They bring in children and hand out pills for them to swallow. 1:52 Then, [the ISIS cadres] install the [suicide detonator] and [the children] go blow themselves up without even knowing what they’re doing. 1:58 They don’t escape, because they don’t know what’s going to happen. They have no say in it. 2:03 Some don’t want to go, and say so once the car arrives. 2:11 In the name of Allah, the Most Merciful, the Gracious. May Allah bless Prophet Muhamed and all the Messengers. 2:18 I speak to the children of the world. I joined ISIS and stayed with them for five months. 2:24 I saw suffering, and a lot of my comrades died in front of me. 2:29 Don’t go with [ISIS]. They’re not Islamic. 2:32 They laugh at people and bring them to jihad. 2:35 But this is not jihad. It’s all lies. They only bring them to fight, and it’s not even a real fight. 2:47 But it’s all for nothing. He suffered for nothing. 2:52 Only the soldiers and big leaders are the ones who benefit from [their suffering]. 2:57 Those children who came for jihad, they don’t benefit at all. 3:00 I tell every child not to join them. 3:04 They blew themselves up and I hated myself for it. I can’t go back [to Syria] anymore. 3:10 And those who did [bad] things, nothing happens to them. Nobody punishes them. Because of this, I quit [ISIS]. 3:19 I speak to every child in the world. 3:21 Don’t give bayat [allegiance] to ISIS. Don’t join them, because they are infidels. 3:29 ISIS cadres found Ibn Omar in Turkey and convinced him to work for them once again by guiding them back to his hometown that had been overtaken by Kurds. 3:34 On that journey, Ibn Omar was killed by a landmine.